Summer came hard and quick to New York and it’s best to make sure that your vehicle is ready for the oncoming heat. Here is a list of things to bear in mind when getting ready for summer. 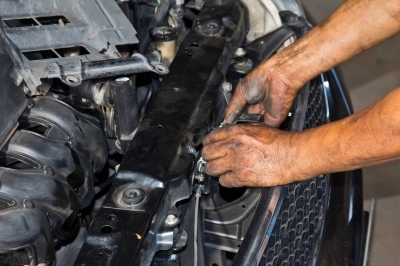 You will want to replace belts and hoses on a regular basis helps to avoid a breakdown or engine damage. Replacing the fuel filter will make sure that your engine is running properly and will maximize your fuel economy. Check the air pressure for all of your tires. That includes the spare. If the pressure is off, that can lead to premature ware. That, in turn, leads to decreasing your fuel mileage. Brakes are used frequently throughout a single day. Every time the brakes are applied, a thin layer of the pad disintegrates. Make sure you inspect and replace those pads to ensure proper performance. Make sure your engine oil level is checked often and changed and refilled on a regular basis. If the oil is dirty or too low, you can experience engine problems. Not something you want happening to you in New York summers. Replacing a dirty filter will help protect your engine from airborne contaminants. The car will get better air flow. That helps decrease on fuel consumption. Dirty fluids have an impact on the performance of your vehicle and can lead to breakdowns. Make sure you’re checking that everything is filled to the proper levels and on a regular interval. It’s been a rough winter and that meant some rough cold-morning starts. Make sure there’s no corroded terminals or cracks on the case. It’s never fun to have a battery fail in the middle of the city. Spring brings with it plenty of storms. Don’t get caught in the rain with broken wipers. You never want to have to fight to see through a downpour. Always make sure your lights are in proper working order to avoid two things, accidents and the cops pulling you over for a citation. Bring your vehicle into our service department and we’ll give it the look over to ensure it’s ready to face the on-coming weather. Best to get it out of the way before your vehicle develops problems on a road-side and your great vacation out of state has turned into a few hours waiting for the tow truck. Schedule an appointment online at our website or contact us at 888-425-7294. Like Bayside Chrysler Jeep Dodge on Facebook and follow us on Twitter for a full list of our special monthly offers.